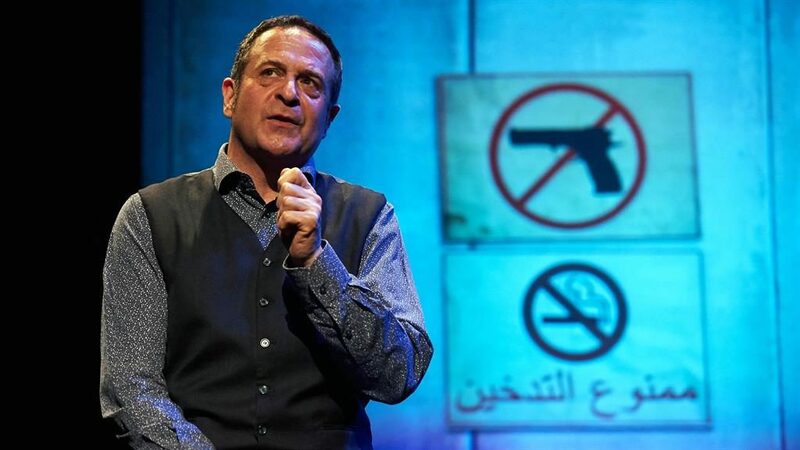 MARK THOMAS is probably the only comedian with the front to set up a comedy club in the Palestinian West Bank city of Jenin, a place synonymous with the sorrow of conflict and occupation. This brave and funny show, which arrives for a two-week run in east London, is the story of that potty idea. It’s told by Thomas with a passion for the plight of the Palestinian people, and also by two comedians, Faisal Abu Alhayjaa and Alaa Shehada, who Thomas first encountered in his unlikely Jenin comedy workshop. It was here, in a refugee camp’s theatre which, says Thomas gleefully, ‘has f*** all to do with Bob Geldof’, that he taught the principles of comedy to budding male and female comics. Vividly described by Thomas, the workshop comes across as a comedy masterclass. And for a moment you wonder whether he was teaching not so much universal truths about comedy but, slightly more imperially, the British sense of humour. Still, the moment where the videoed performances by these young Palestinians are projected on to a screen is testament to the value of Thomas’s project. Before the Palestinian public were allowed in, the morality of the material first had to be judged by representatives of the Palestinian Authority. And here the pomposity of that process is delightfully lampooned by Thomas and his friends. Their lesson — that comedy subverts authority, whether it’s Palestinian or Israeli — is a potent one. Where Thomas’s unequivocal stance might have resulted in an evening of preachy sermonising in less skilful hands, what we get is a funny, touching and humanising view of Palestinian society.